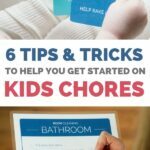 Giving kids chores sets them up for success in many areas of life, but getting started is half the battle. Here’s a guide to how to begin and be successful. It’s just one way the Hinckleys remind their four kids how they should see themselves – that when there’s a job to do, Hinckleys are the kind of people who get it done. And get it done they do – in addition to taking care of everyday tasks, the entire family has what they call a “hard work session” on Saturday mornings after breakfast of more intense yard work or cleaning. The Hinckleys may be on to something. 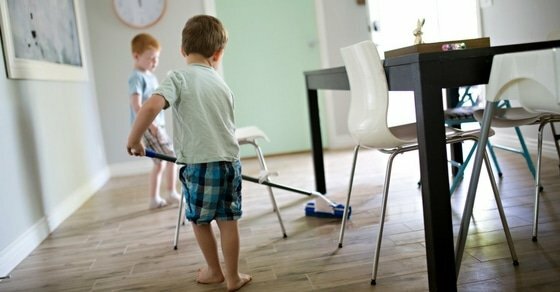 According to new research, chores, if started with children at a young age of three or four, can lead to adults who are more likely to be self-sufficient, achieve academic and early career success, and have good relationships with family and friends, as found in a study conducted by Marty Rossmann of the University of Minnesota. But while many parents want their kids to do chores, finding the motivation to get started can be the biggest hurdle to overcome. It takes effort to determine who does what, when chores will get done, and how to get everyone on board. And then there’s the perfectionist factor – adults can complete chores better and in FAR less time than it takes a four-year-old or even eight-year-old. A kid’s definition of “clean” often means little scraps of paper left on the playroom floor, crayons pushed into the corner and utensils left on the kitchen table after breakfast. But while we can dream of a future time (and perhaps alternate universe) where our kids clean their rooms or scrub the bathroom sink to our standards, the idea here is to give our kids responsibility. 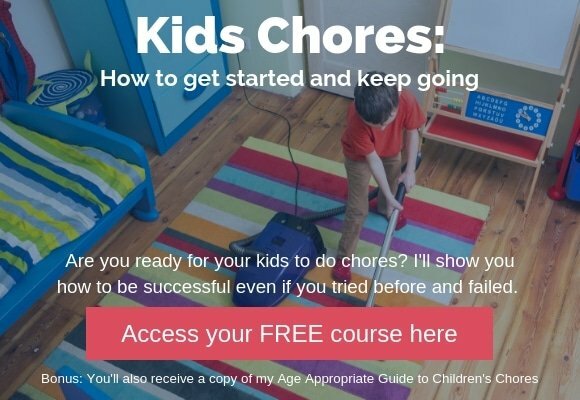 Getting kids started on chores CAN be done and while the upfront work can sometimes be demotivating, keep in mind the lasting benefits to kids – and more selfishly, the possibility that you’ll be doing less housework in the future. 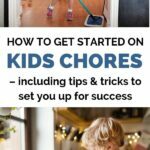 Step #2: Let kids help out: Introduce the idea of chores by letting kids help their parents out, suggests Tammi of My Organized Chaos. If your toddler asks to help fold laundry – take him up on it. Yes, it will take you 5-10 minutes longer to get the task done, but keep in mind the payoffs down the road. If kids identify themselves as helpers from a very young age then easing into the next step of having assigned chores will be natural. Step #3: Assign chores – with kids input: At even the young age of two or three, kids can begin to have assigned chores. Getting kids involved in the process gives them ownership over tasks and removes the feeling of chores being unwillingly forced on them. As a family, sit down and determine who is responsible for sweeping the floor, who needs to feed the cat, and who takes out the garbage. Including parents in this list provides perspective on the work that everyone contributes to the family. Step #4: Age-appropriate chores are key: Kids are capable of more than we realize, but we also don’t want to overwhelm them and potentially make them feel helpless. Make sure kids are assigned chores they can handle. Click here to gain access to my Age Appropriate Chores for Children List. Step #5: Use visual reminders to reduce the need to nag: Having visual reminders about which chores have been agreed to can help remind everyone that there are chores to do and help parents not sound like a nag. That’s because it’s a lot easier to say to your kids “time to check which chores need to be done!” than to say “time for you to unload the dishwasher, set the table, and sweep the floor!” The former encourages their ownership of the task, while the latter sounds more like an order or imposition. 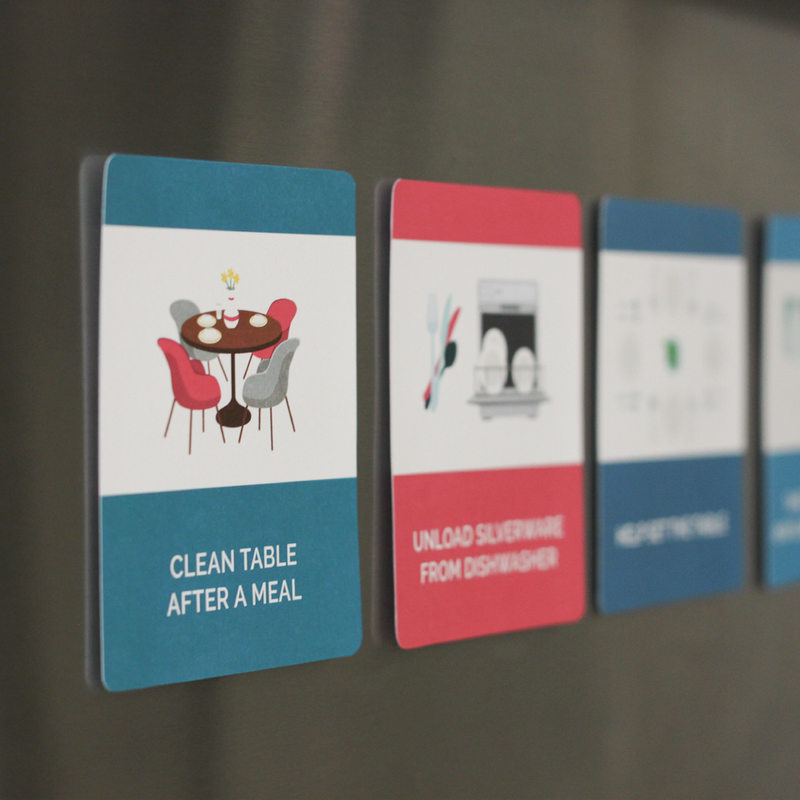 A great visual reminder for kids are these chore cards. Simply download, print on heavy stock paper, and if placing them on the refrigerator, add magnetic tape. Step#6: Teach kids how to do their assigned tasks: Kids need guidance on how to complete their task with semi-competence. 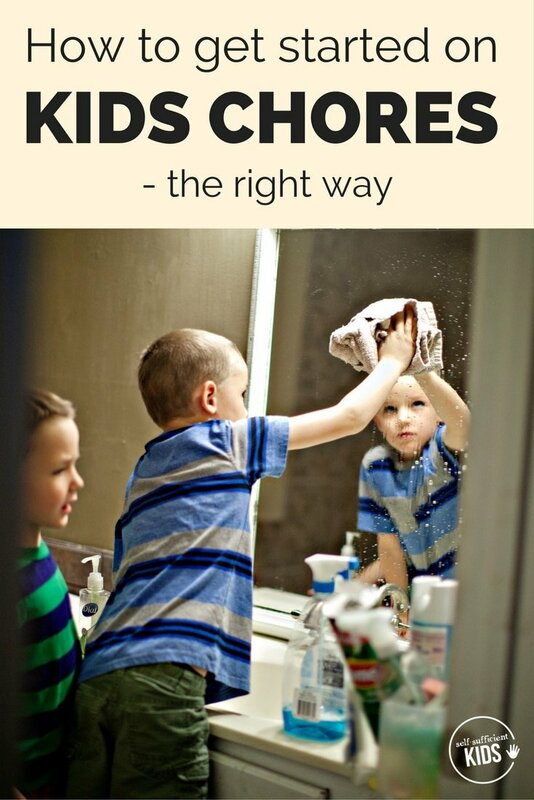 The first few times your child does a chore, be there with them to show how it’s done. And once they’re semi-proficient, stand back and let them take over – remember that half the “fun” of chores is the ability to accomplish something on one’s own. 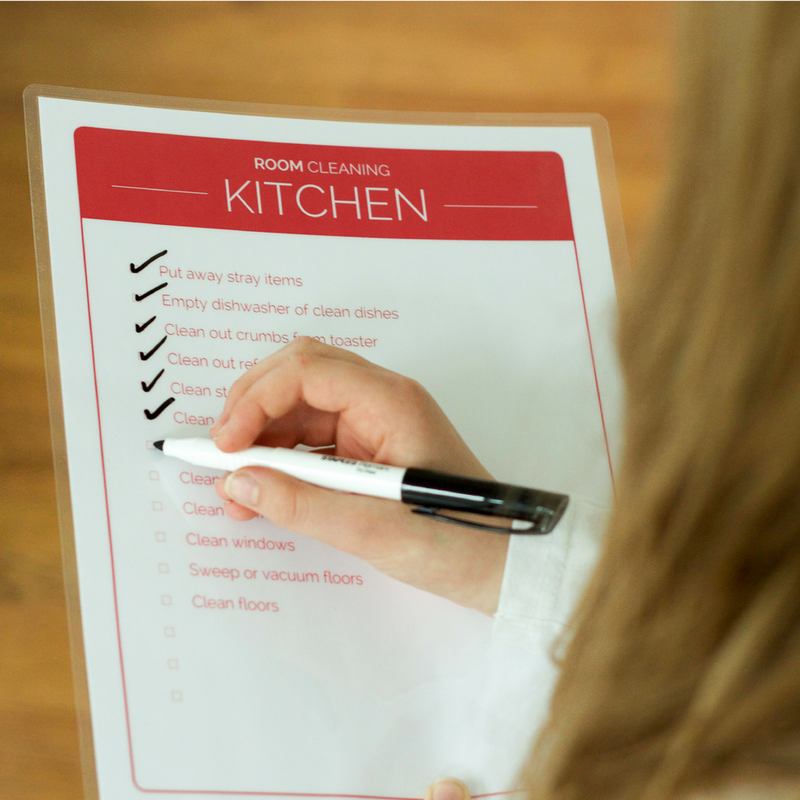 A great aid in helping kids manage chores on their own are these printable Room Cleaning Cards and provide a list of tasks to be completed in every room in the house. Kids just simply read down the list and check off what they have completed. Best of all, you can customize these lists to meet your family’s needs. While managing and giving kids chores isn’t always easy, it’s worth it to know you’re equipping kids with life skills they’ll need as adults. And the upside? Having more hands to help with work around the house.